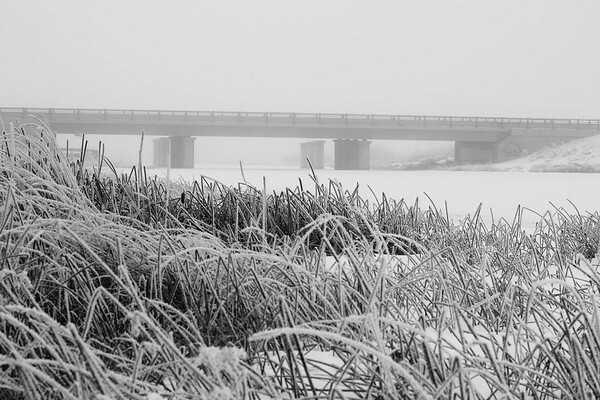 Where Ray Gibbon Drive crosses the Sturgeon River in St. Albert, AB. So foggy you can’t see the other half of the bridge. Oh wait, that’s because it still doesn’t exist. They planned many years in advance for the twinning of this road, but for the most part I think it is probably still not justified to do it. Although there are probably people who would argue that point during rush hour.